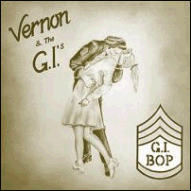 Vernon & The G.I. 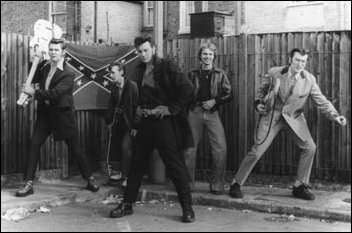 's were a Teddy Boy band from the Orpington area of Kent. These recordings are much sought-after. Some appeared as singles on their own label, later to appear with other recordings on the rare Billy Goat label. In 1979, an album was released titled 'GI Bop' (GOAT002).They used to run regular gigs in Orpington, and I often DJ'd at them. 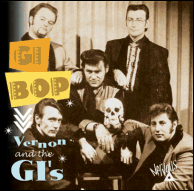 The GIs were fronted by singer Vernon Shaw. Jim Relf played Fender lead guitar and sang backing vocals. Alan Peacock and Tony Casey played Fender rhythm guitar and also sang backing vocals. The drummer was Gary Steel.